Ray Donovan TV show image via Showtime. Summertime is Showtime. The premium cable channel is teasing its upcoming summer slate. 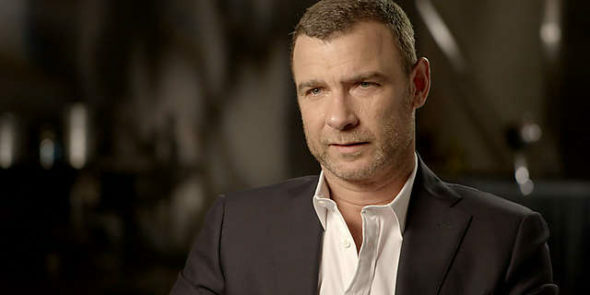 The fourth season of the Ray Donovan TV show, starring Liev Schreiber premieres Sunday, June 26th at 9:00 pm ET/PT. The cast also include Jon Voight, Paula Malcomson, Eddie Marsan, Dash Mihok, Steven Bauer, Katherine Moennig, Pooch Hall, Kerris Dorsey, and Devon Bagby. Two new series are also premiering on Showtime on June 26. A political docu-series, The Circus comes from Bloomberg Politics’ Mark Halperin and John Heilemann, of Game Change Fame. The Roadies TV show comes from Cameron Crowe, with Winnie Holzman and J.J. Abrams. The Roadies cast includes: Luke Wilson, Carla Gugino, Imogen Poots, Rafe Spall, Keisha Castle-Hughes, Peter Cambor, Colson Baker a.k.a. Machine Gun Kelly, and Ron White. Luis Guzman, Jacqueline Byers, Finesse Mitchell, Branscombe Richmond, and Tanc Sade guest star. Get all the details excerpted from the latest Showtime press release. 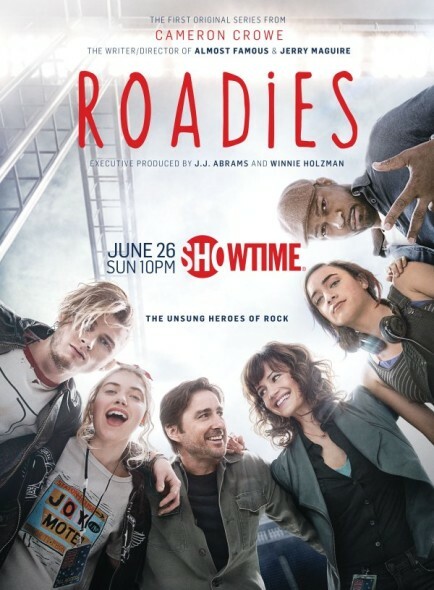 Created by Oscar(R)-winning writer-director Cameron Crowe, and executive produced by Crowe, Winnie Holzman and J.J. Abrams, ROADIES is an insider’s look at the reckless, romantic, funny and often poignant lives of a committed group of “roadies” who live for music and the de facto family they’ve formed along the way. The series chronicles the rock world through the eyes of music’s unsung heroes and puts the spotlight on the backstage workers who put the show on the road while touring the United States for the successful arena-level group, The Staton-House Band. Luke Wilson (The Royal Tenenbaums, Old School, Enlightened) stars as the band’s tour manager opposite Screen Actors Guild(R) Award nominee Carla Gugino (San Andreas, The Brink, The Space Between Us) as the production manager. Their unique personal and professional relationship is forever crashing and colliding as they guide the daily events of the band and crew of roadies. Imogen Poots (The Look of Love), Rafe Spall (One Day), Academy Award(R) nominee Keisha Castle-Hughes (Whale Rider), Peter Cambor (NCIS: Los Angeles), Colson Baker a.k.a. Machine Gun Kelly (Beyond the Lights) and Ron White (Blue Collar Comedy Tour) star in the ensemble cast. Luis Guzmán (Boogie Nights), Jacqueline Byers (The Strain), Finesse Mitchell (Saturday Night Live), Branscombe Richmond (Forgetting Sarah Marshall) and Tanc Sade (Matador, Gilmore Girls) guest star. THE CIRCUS: INSIDE THE GREATEST POLITICAL SHOW ON EARTH is produced in cooperation with Bloomberg Politics and featuring Bloomberg Politics managing editors Mark Halperin and John Heilemann (co-authors of the New York Times best-sellers Game Change and Double Down, and co-hosts of the nightly political show “With All Due Respect” on Bloomberg Television) and noted campaign strategist and media advisor Mark McKinnon. The real-time documentary series has pulled back the curtain on the 2016 presidential race, revealing the intense, irreverent, inspiring and infuriating stories behind the headlines of what has been one of the most fascinating and consequential elections in modern history. What do you think? Do you plan to watch the fourth season of Showtime’s Ray Donovan TV series? Will you check out the series premieres for The Circus and/or Roadies? Tell us. More about: Ray Donovan, Ray Donovan: canceled or renewed?, Roadies, Roadies: canceled or renewed?, The Circus, The Circus: canceled or renewed?